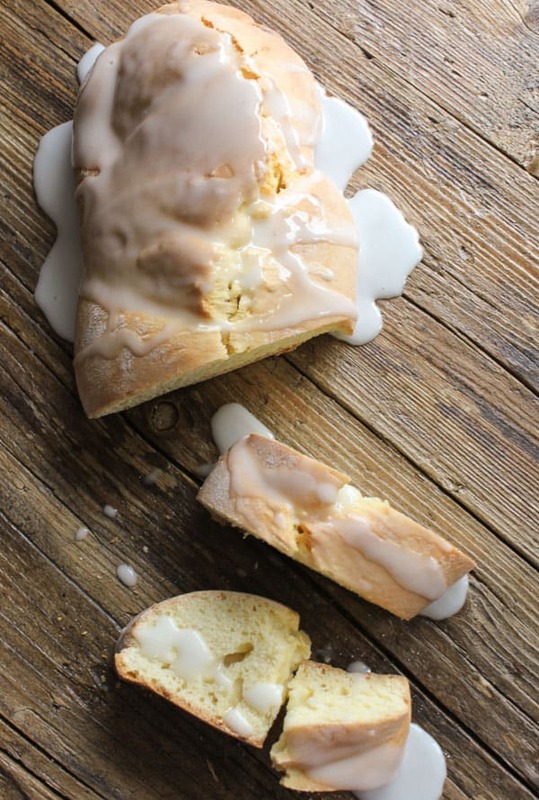 Italian Easter Bread, the ultimate dunking Easter Bread Cake, topped with a sweet glaze. 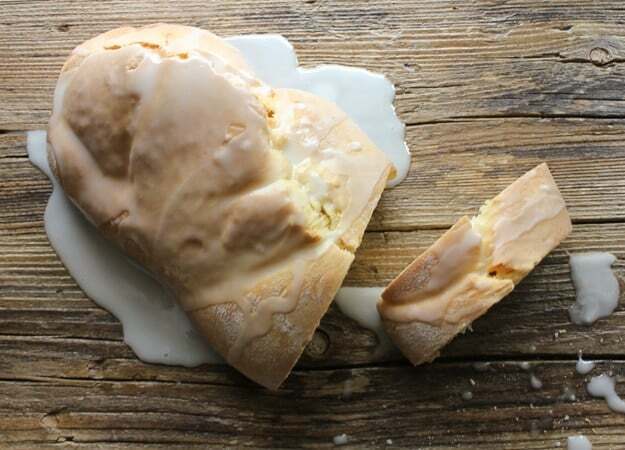 This Italian Easter Traditional Bread is a must make. 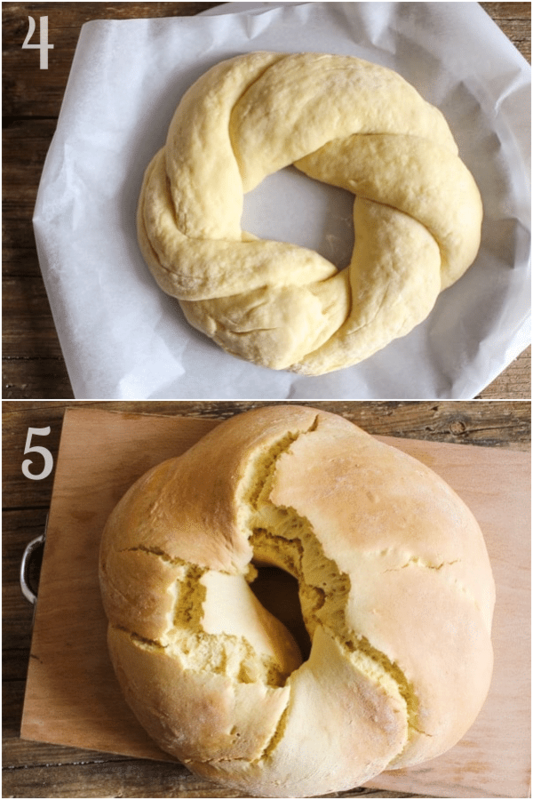 Since the age of nine this Italian Easter Bread made me appreciate even more Easter foods. I am not the only one in my family who married an Italian. My oldest sister started it! She had a mother-in-law who could cook too. How many times did I go over to her house and when I was asked if I had eaten I would naturally answer that I hadn’t just so I would get an amazing bowl of pasta. Mamma Jen, as she was affectionately called, seemed to be always in the kitchen stirring up some delicious dish after another. The first time my sister arrived bearing this delicious Italian Easter Bread I was sold. I couldn’t wait for the next Easter. Unfortunately things change, we grow up, people leave us and I received no more Italian Easter Bread. Lucky for me I was still in contact with Mamma Jen’s granddaughter and she so kindly sent me the recipe. 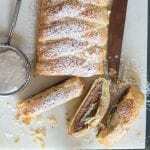 She also informed me that this delicious cake is actually known as Cuculi, it is an Easter Bread typical to Calabria. I remember that eggs were baked into this cake ring, but since my family is not the hard-boiled egg type I make it without. If you do wish to add eggs to your bread, then you can either use died or non died Raw eggs. Just place them gently but firmly in the dough before baking. The eggs will cook while baking. In a large bowl beat eggs and sugar together, stir in milk then mix in the vegetable oil. In another bowl whisk flour and baking powder together, add the flour mixture to the wet mixture, combine well. Then stir in the a cup of flour. On a flat surface add one cup of flour, make a well in the centre and add the mixture from the large bowl. 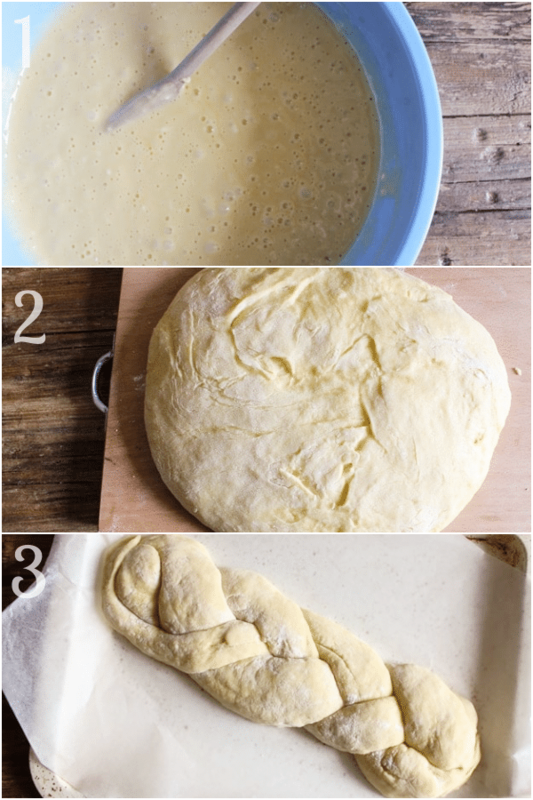 Knead all together to form a smooth dough. Shape into desired shapes and bake for approximately 45-60 minutes, until golden, or until toothpick comes out dry. Cool completely before drizzling with glaze. 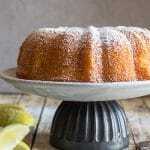 In a medium bowl add sugar and slowly stir in the milk and vanilla, stirring continuously to make a smooth glaze. Pour over cooled Easter Bread. Can this Recipe be halved? If this recipe is too large for you then yes the recipe can be halved. 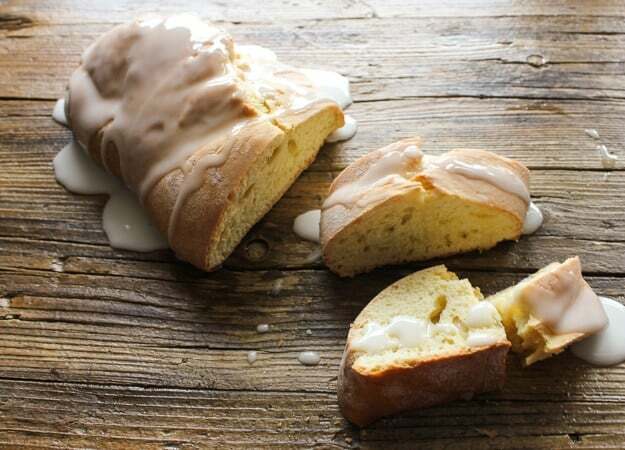 This Italian Easter Bread or Cuculi is a typical Italian Bread/Cake that is not too sweet, so an icing sugar glaze is the perfect topping and it is on the drier side this is not one of those moist breads. This is why it makes the perfect dunking bread / cake with an afternoon tea or coffee. As the Italian says “the perfect dipping sweet bread”. This Easter Bread once baked should be stored in an airtight container and will keep from 7-10 days. If you like you can always slice it then and toast it. A delicious Breakfast idea. Italian Easter Bread, a delicious Italian sweet bread recipe, a Traditional Easter Sunday, treat.Perfect with a cup of coffee or tea. In a large bowl beat eggs and sugar together, stir in milk then add vegetable oil. Whisk 5 1/2 cups (715 grams) and baking powder together, add flour mixture to wet mixture, combine well. Then stir in 1 cup of flour (130 grams). 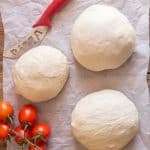 On a flat surface add the remaining 1 cup of flour (130 grams) make a well in the centre and add the bread dough from the large bowl. 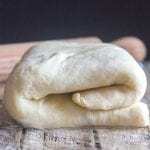 Knead all together to form a smooth dough. Shape into desired shapes* and bake for approximately 45-60 minutes, until golden, or until toothpick comes out dry. Cool completely before drizzling with glaze. In a medium bowl whisk together the powdered sugar and vanilla then slowly whisk in the milk, stirring continuously to make a smooth glaze. Pour over cooled cake. *If you wish to add hard boiled eggs, then either use died or non died raw eggs, carefully place firmly in the dough before baking. Recipe updated from March 29, 2015. The recipe calls for CAKE DOUGH but it isn’t a link and I cannot find it on your site. I would really like to make this recipe. Hi Ste, cake dough is the sub title with the ingredients and directions listed underneath. Hope that helps. Your recipe is the same as my grandmother’s and I just made it this morning. It turned out so delicious. My gradmother was Napolitan and she made it every year! I didn’t have her exact recipe but remember her using evaporated milk. I added some lemon zest to the batter also. Thanks for publishing this. Hi Roseann, so glad you liked it and have a wonderful Easter. Hi Kathy, actually Italian sweet breads and sponge cakes do tend to be on the drier side because they contain less fats. I guess that is why they go great with a cup of tea or coffee. Happy Easter! Good luck, let me know how it goes! Happy Easter. Hi Jeanne, because this more a typical bread/cake so therefore no yeast. It is on the dry side but I love it. Hi yes that should be no problem, although it does make enough for 3 loaves. Hope that helps. Let me know how it goes. Looks amazing! Going to give it a try for Easter…my family is going to love this! Hi Veronica, thanks you hope you like it. We are from Calabria and this Cuculi is our traditional sweet Easter bread. So fun to see it on your website! Thank you! Hi Julie, thanks, I love that bread. I just love reading about you, your family, your memories and your life. Thank you for this recipe. You take such good photos! My kids won’t eat hard-boiled eggs, either, so I will leave them out, even though they make it look even prettier. Hi Barbara, thanks so much, hope you enjoy it. My family is from Calabria, and they made Easter bread with the colored eggs as well. Although I don’t remember it being a sweet dough, or having icing. It was more like regular Italian bread, but I do remember it was made with lard. Unfortunately, nobody thought to write down Nonna’s recipes until after she passed away! Sad that she took so many wonderful family recipes with her. But, I thank you, Rose for bringing back some wonderful memories of our Italian Easter celebrations. Buona Pasqua!